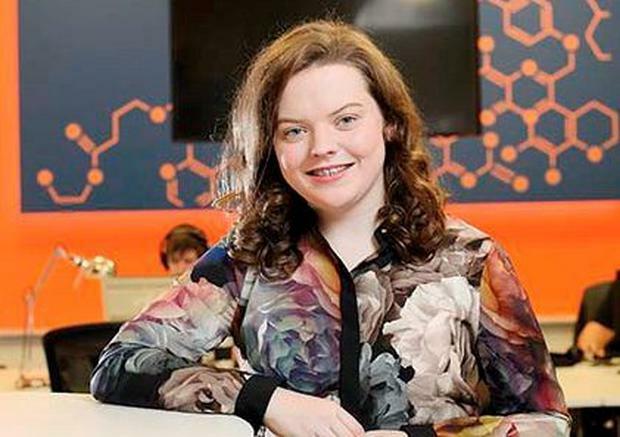 A 21-year-old Galway woman joins five other talented Irish people who have just made the 2019 Forbes’ ’30 Under 30′ Europe list. Edel Browne started working on her Free Feet business at the age of 15 for a BT Young Scientist project competition. She has developed the brand and product – a small laser light device attached to the shoe, designed to reduce gait freezing – ever since. Gait freezing is very common symptom of Parkinson’s disease and Free Feet is designed to help sufferers have a better quality of life. This year’s list features 300 young disruptors across ten categories, from 34 European countries and 22 non-European countries. Journalist Sally Hayden, who has a law degree from University College Dublin and an MSc in International Politics from Trinity College, also made the list – but featured under the ‘United Kingdom’ entrepreneurs. “So nice to be named in the Forbes 30 Under 30 list for media in Europe (though I need to reiterate I’m Irish, not British! ),” she tweeted after the list was revealed. Hayden has reported from countries including Syria, Sudan, Nigeria and Iraq with a focus on migration, conflict and humanitarian crises. She has worked across a huge list of publications and media agencies including the Financial Times Magazine, TIME, the Thomson Reuters Foundation, BBC, the Washington Post, the Irish Times, and the Guardian. Irish rugby also got the nod in the form of flanker Peter O’Mahony (28), a three-time winner of the Six Nations Championship, a one-time Grand Slam champion, and a one-time Triple Crown winner. Singer and actress Jessie Buckley (29) who came second in the BBC talent show ‘I’D Do Anything’ in 2008, also featured on the list. She earned a 2019 BAFTA Rising Star award nomination following her breakthrough role in last year’s critically-acclaimed thriller ‘Beast’. The advancements in technology across the Irish landscape are highlighted with the final two Irish people making the list. Honoured to be on this year’s @Forbes 30 Under 30 list! Humbling to be included in a group of such amazing people. Founder and CEO of Wia, Conall Laverty, boast that his company’s service is used by more than 35,000 developers across the globe. Startup Wia, which has raised €750,000 in venture funding, provides the backend for those building Internet of Things (IoT) devices. Clients of the company include BBC, Vodafone and Samsung. Last but by no means least, 28-year-old Dr Ciara Clancy, of Beats Medical, takes a well-earned spot on the list. Ciara founded her to develop digital therapeutic programs; she wanted to hand back control to people with Parkinson’s and provide them with disease management techniques in the home. Well known celebrity names who also made the list include musicians George Ezra and Jess Glyne, and actors Tom Holland and Daniel Radcliffe.